Valentine's Day is rapidly approaching & that leaves the world questioning what gifts to get for the men in their lives. Men claim to be easy to shop for, but are they really? Follow along with my Valentine's Day gift guide for men for five foolproof presents to get the men in your life. Giftgiving just got easier. 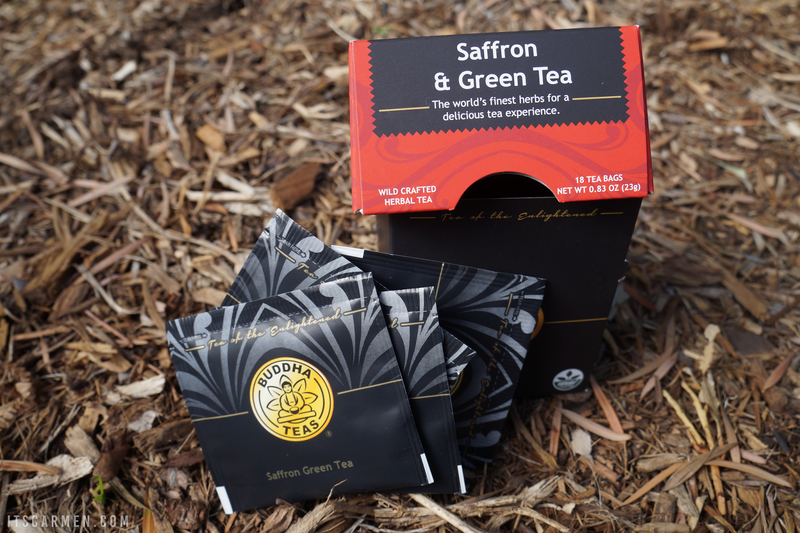 Saffron Green Tea* - The flavorful combination of saffron with green tea makes the perfect Valentine's Day gift any tea lover. Being Persian I grew up on saffron so tasting it in a cup of piping hot tea gave me a refreshing wave of nostalgia. My boyfriend, however, is not a saffron aficionado & he very much enjoyed it. The pure, natural, chemical-free Saffron Green Tea from Buddha Teas is a unique gift for a unique guy. My boyfriend says: "This tea is packed with flavor. I've never tried saffron before & now I have another tea to rotate during my morning breakfast routine." 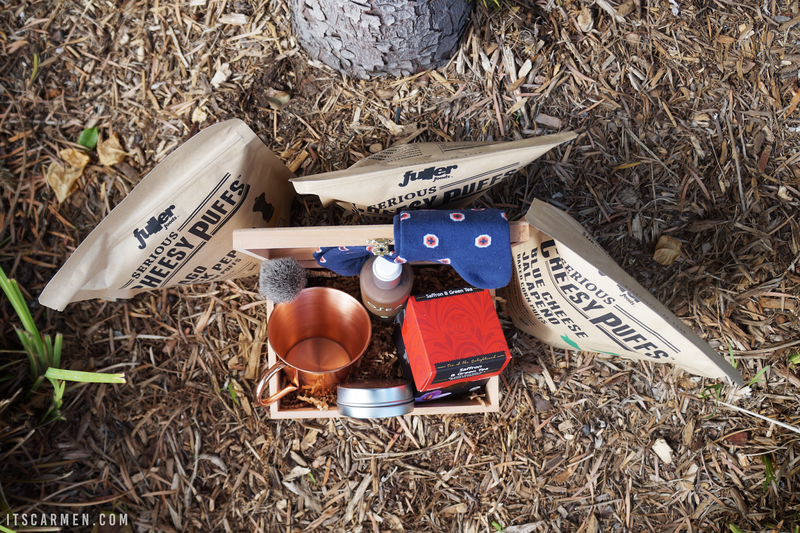 Shave Kit* - I mentioned Dr. Squatch in my Christmas gift guide for men because their soaps are seriously amazing. 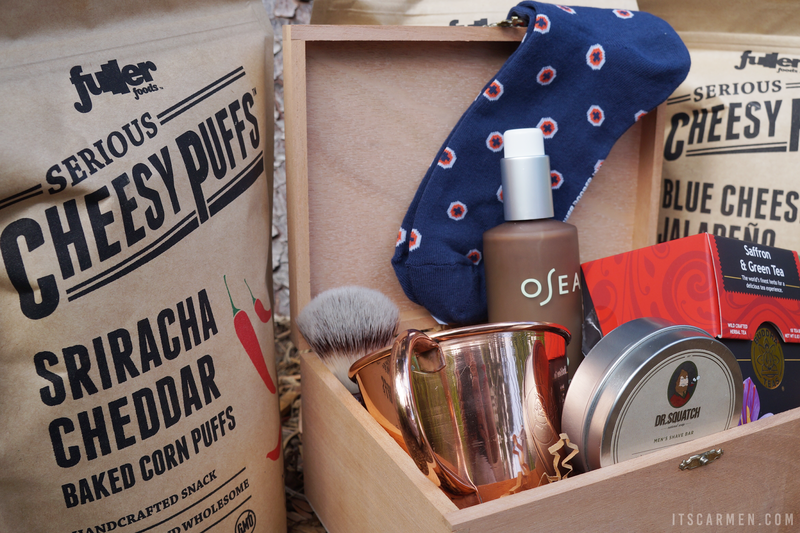 For Valentine's Day, give your husband, boyfriend, brother, dad, male friend a nice shave kit. 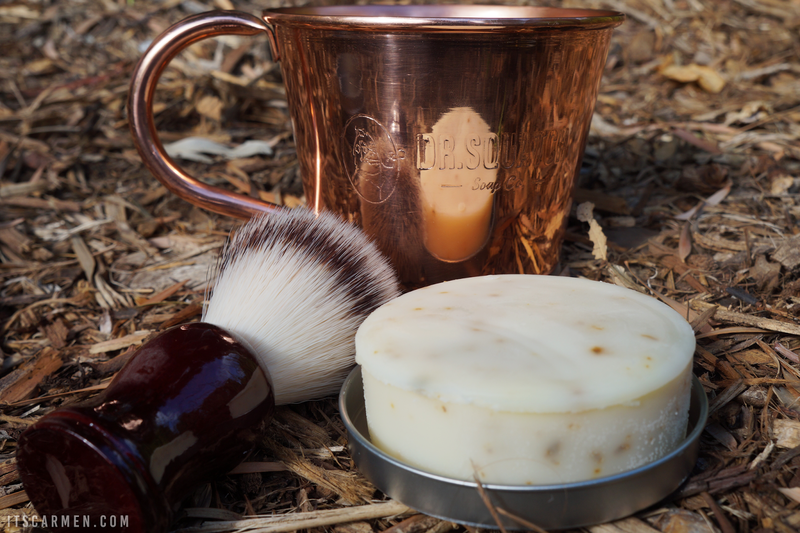 The Dr. Squatch version comes with a clay mint shave bar, synthetic shave brush, & a really cool copper shave mug. Is it bad that I want to steal the mug from my boyfriend & just use it for a Moscow Mule?! My boyfriend says: "I enjoyed the new experience of applying shaving cream using a soft bristle brush. The shave bar smelled great & lathered well. Overall, my shaving experience was improved, which I never thought could happen." Ocean Cleansing Mudd* - Men enjoy skincare too. After all, the face is an important part of the body. 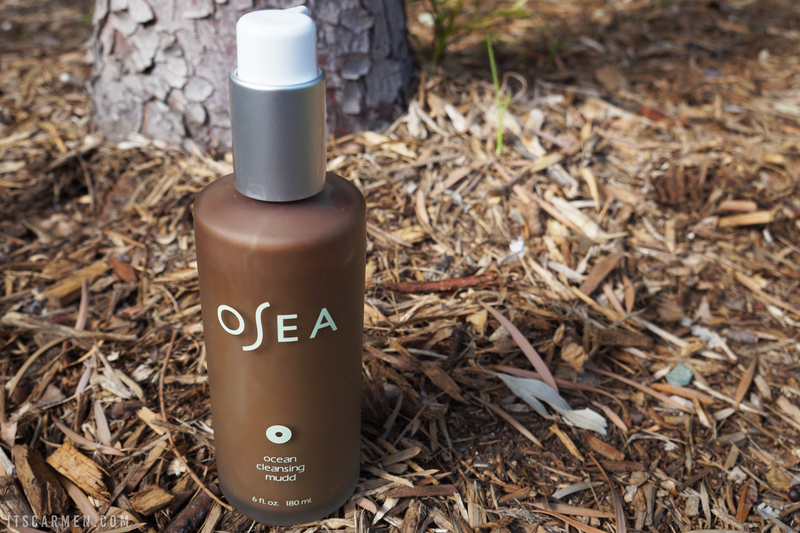 With hints of tea tree & peppermint oil, the OSEA Ocean Cleansing Mudd has a nice kick to it. The mudd cleanses pores & controls oil. The packaging is simple & classic. It's an interesting & unique concept that will leave your skin feeling rejuvenated & tingling. My boyfriend says: "The mudd actually feels like it cleans & refreshes my skin. It's the most invigorating facial cleanser I've ever tried. The packaging looks really cool too." Awesome Socks*- For the fashion forward man, consider a rad sock subscription. 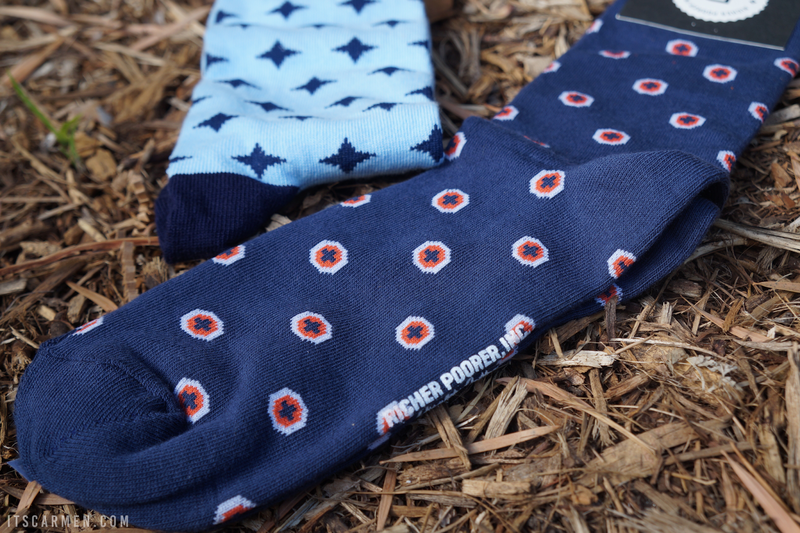 Sockwork donates a percentage of its proceeds to veteran-oriented charities. Choose the type of socks, customize your order, then get your socks. Do your good deed of the day & get him some socks with a purpose. They'll jazz up any outfit! My boyfriend wore these dark blue ones with black jeans & black Vans. My boyfriend says: "The socks were soft & comfortable; my only two requirements for a great sock. I like the different designs since they add personality to an article of clothing that normally isn't the star of the show." Serious Cheesy Puffs* - Oh my word, y'all! 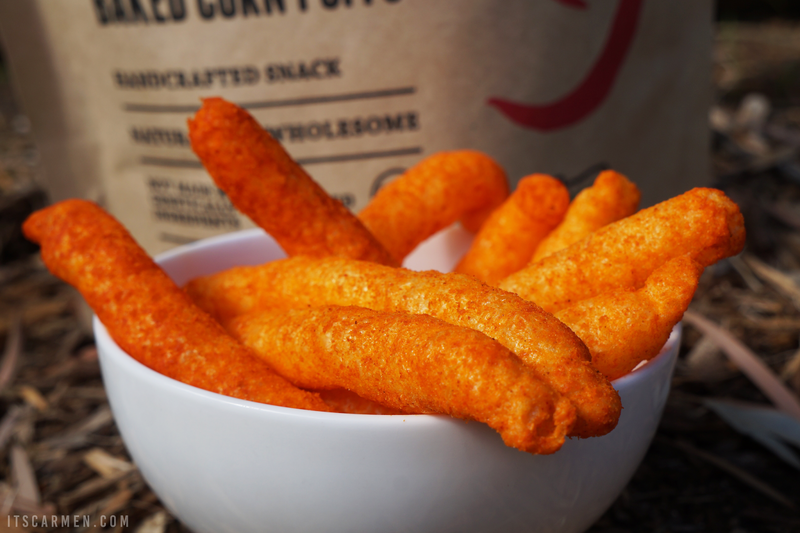 These handcrafted baked corn puff snacks from Fuller Foods are intensely good. You can choose between three flavors: Sriracha Cheddar, Blue Cheese Jalapeño, & Asiago Black Pepper. They are shockingly spicy, so make sure you have some water & tissues on hand. My boyfriend says: "I was surprised when I first saw the absurdly large puffs, but on my first bite, the size didn't matter. I really liked that each flavor featured a different type of cheese & spice. The Blue Cheese Jalapeño was my favorite because it was the perfect mix of cheese & heat." Men are wonderful creatures. Your dad, your fiancé or husband, your brother, your really cool coworker, all deserve a bit of recognition. 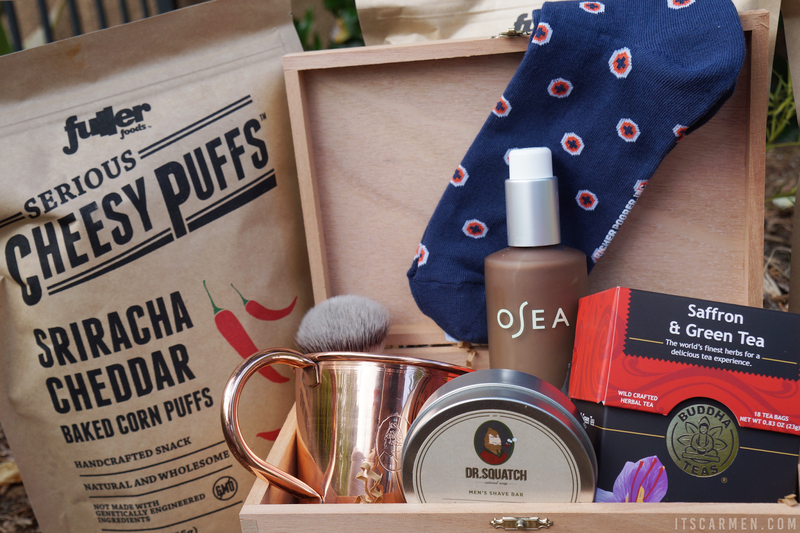 This Valentine's Day gift guide for men is filled with presents to suit a variety of personalities. Now go out there & conquer those gifts. Valentine's Day is less than two weeks away! Oh my gosh the cheese puffs sound PHENOM! I would totally get the bleu cheese flavor haha. Great gift ideas, thanks for sharing! It's fun to get your boyfriend's input on them as well! Good idea having a gift guide for men, I never know what to buy my boyfriends(I don't have several, but over the years.. haha, by the way! ), boy friends and male relatives! Love love these, a bit cold for my environment, but absolutely gorgeous! Thank you for this! I had no idea what to get my boyfriend. I love that you got a mini review from your boyfriend on each of the ideas! Mine would love the shaving kit and definitely those cheese puffs - they wouldn't last long at all! these are all such fab ideas! So many great ideas, I love the shoes! Your Valentine's Day gift guide for him looks great! I think, my husband would be very glad for such beautiful presents. These all sound awesome! I especially love the socks, and those cheese puffs look delicious! Lovely ideas, thanks Carmen! Ooo I enjoyed the shaving ideas. My boyfriend is always complaining about his razor, maybe something new to try would cheer him up! Saffron green tea was amazing!! Heheh i love how you pulled your boyfriend into creating this post with you :) His comments are great!! Great ideas omg!! I really didn't know how to take my crush aback! I'm somehow very shy and i think he doesn't realise that i'm in love with him, but this is a fabulous way in which i can show him my feelings. These are great ideas- I haven't found anything for Michael yet, so I'm going to have to check these out! These are really great gifts' ideas! I was running out of imagination so your post is really helpful. I especially love the shave kit!